There’s Always Something Happening in Bulverde/Spring Branch. Began on May 11, 1952 as a result of a dedication ceremony and barbeque that was held for the newly constructed Bulverde Community Center which resulted in an Annual event to benefit the center. The event features BBQ Chicken and Sausage with all the trimmings, the Annual Spring Chicken Festival also includes an arts and crafts show, country store, prizes, games for kids and more! The event is always held the last Sunday in April each year). You can find more information about this treasured event by visiing their website at https://www.bulverdecommunitycenter.org/spring-chicken-festival. A tradition for over 27 years, is a one day annual event held the day after Thanksgiving. The event is hosted by the Village of Bulverde and the Bulverde/Spring Branch Chamber of Commerce with support from the City of Bulverde. Merchants from the Bulverde/Spring Branch area and the Downtown Bulverde Village provide live entertainment and free goodies and activities for children, including sending letters to Santa at the Bulverde Post Office. Festivities also include excellent food, contests, shopping, and the arrival of Santa in a big red firetruck to light the Christmas tree and the Downtown village of Bulverde! Each year the donations of non-perishables are accepted for a local charity. 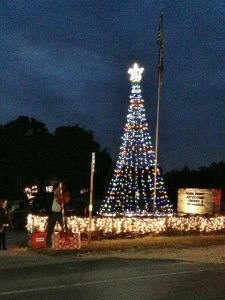 More information about the Annual Bulverde Christmas Lighting can be found by visiting the City of Bulverde’s Front Porch News Facebook page by clicking here or the Bulverde/Spring Branch Chamber of Commerce Community Calendar at http://bulverdespringbranchchamber.com under News & Events. Just completed its 18th year. Sponsored by the Friends of the Village of Bulverde with support from the City of Bulverde and the Bulverde/Spring Branch Chamber of Commerce. Festivities include Parade, Food, Cold Beer and other refreshments, Arts and Crafts. It’s Fun for the Entire Family! For more information, please visit their Facebook page at https://www.facebook.com/BulverdeJubilee. 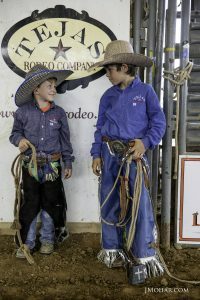 Held at Tejas Rodeo Company is packed full of amazing rodeo action and loads of family friendly fun for kids. Stock provided by the always amazing Diamond Cross Rodeo Company bringing you the badest bulls, fastest steer and white knuckle broncs this side of the great State of Texas. A portion of the proceeds always benefit a local charity. For more information about the event, please visit their website at https://www.bsbchamberrodeo.com. Held the first Saturday after Easter. Proceeds go to the needy in the surrounding areas and to support the Texas Lions Camp for disabled children in Kerrville, Texas. Trophies are awarded and are all handmade by members of the Spring Branch Bulverde Lions club. 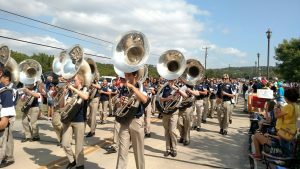 Visit their website at https://www.sbblions.com/bulverde-car-show for more information, flyer and map, car registration form, donor form, sponsor form, and vendor application. The Bulverde Area Arts Center is a non-profit institution committed to providing education for those aspiring in the arts, exhibitions for practitioners and events for public participation. BAAC creates opportunities for exhibitors by featuring the work of individual artists, to inspire artists of all leveBulverdels and in all mediums. Special outreach to Bulverde area youth will encourage and inspire interest and discover talents of the young people of the community. The only requirement for participation is a love of the arts and a desire for personal artistic development. 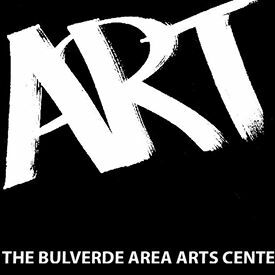 For more information, please visit their website at http://www.bulverdeareaartcenter.com. In its 39th season, S.T.A.G.E. is a community theatre in Bulverde that provides a forum wherein artists and educators can instruct students in the development of their own artistic skills; makes art education and instruction available to persons of all ages in all religious, ethnic, social, and economic groups; presents educational programs utilizing the arts for the instruction of the public on subjects useful to individuals and beneficial to the community and develops the interest and participation of the public in the dramatic arts. For more information please visit their website at https://www.stagebulverde.org. A Germania Farmer Verein established in 1875. 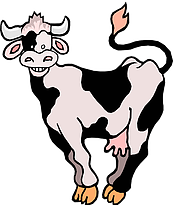 Annual events include 142nd Maifest and Octoberfest with live entertainment, dancing, and all you can eat Pot-Roast and Sausage meal. They also hold weekend dances and band concerts. For more information, please visit their website at http://www.anhalthall.com. Tejas Rodeo Company offers a true taste of Texas and it’s authentic Western-heritage with plenty of fun things to do for the whole family. There’s a live open pro-rodeo produced every Saturday nine months out of the year, the Tejas Steakhouse & Saloon with an award winning menu featuring Chef Johnny Hernandez’s authentic South Texas cuisine, authentic outdoor food and ice cold drinks, a pavilion and stage for live music, several horse clinics and special events throughout the year plus you can stay at their Bunkhouse & Casita. In addition, you can book your wedding or next event on at their Western Sky Events venue featuring a spacious banquet hall with beautiful stained floors, vintage chandeliers, high ceilings, and a Texas sized bar plus there’s a wooden chapel nestled under Texas Oaks that serves as a gorgeous setting for outdoor ceremonies. Tejas Rodeo Company truly has it all! For more information, please visit their website at http://tejasrodeo.com. been beautifully restored as a unique micro-ballroom with 30-foot ceilings, a stage, and the original Gin as a centerpiece backdrop for a truly unique Texas experience. For more information, please visit their website at http://spechts.com. The Shade Tree Saloon & Grill is one of the best stops in the Hill Country. Located in Spring Branch, on US 281, the Shade Tree is one of the favorite stops and hangouts for locals, vacationers, bikers, riders or even shoppers in the hill country for a great meal, a cold beverage, billiards, and regular live local music. The Shade Tree also offers an eclectic wine and beer selection including their own line of Shade Tree Homebrew drafts. Please visit their website at http://shadetreesaloon.com for more information on their menu, spirits selection, and live music line up. Founded in 2009, Rebecca Creek Distillery was one of the first legal distilleries in Texas since Prohibition. The distillery’s spirit lineup includes Rebecca Creek Whiskey, Texas Ranger Whiskey, Enchanted Rock Vodka, and Enchanted Rock Peach Vodka. It has received numerous medals and awards, including platinum and gold medals from the SIP Awards International Spirits Competition, double-gold medals in The Fifty Best Spirits Competition, a rating of 93 points from the Ultimate Spirits Challenge, and most recently a silver medal from the International Review of Spirits. Its spirits are currently on shelves in eight states including Texas, Kansas, Colorado, Louisiana, Oklahoma, New Mexico, Georgia and as of November 7, 2017 Missouri. Its case sales have grown exponentially year-over-year since inception, with more than 100,000 annual cases expected to be sold in 2018. The Distillery offers free tours on Thursdays, Fridays, Saturdays and Sundays, and its tasting room and gift shop are open-to-the-public for group tastings and private events for up to 500 people. For more information, please visit their website at https://www.rebeccacreekdistillery.com. Dry Comal Creek Vineyards is a small boutique wine producer. 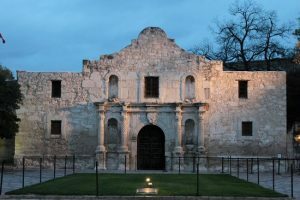 They do not make French style or California Style wines; their style of wine can be defined as ‘Texas Style’. The Black Spanish grape, also know as Lenoir, is the premier grape grown on site and, Dry Comal Creek has become known as the ‘pioneer’ in Texas for Black Spanish wine, a consistent award winner and best seller cultivated by their longtime winemaker, Joe Donnow. Dreek Comal Creek will be expanding their product offerings to meet the progression of the wine industry, with a greater focus on bringing Texas grown grapes and wines into our community. 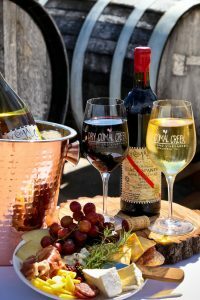 For more information, please visit their website at https://www.drycomalcreekvineyards.com. 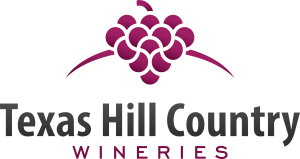 Dry Comal Creek is part of the Texas Hill Country Wineries’ Texas Wine Trail http://texaswinetrail.com. Four times a year, they plan special Wine Trails and Events to make your visits even more rewarding. 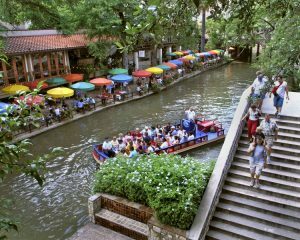 Bulverde/Spring Branch’s central location makes it easy to visit many Texas attractions such as The San Antonio River Walk, the Alamo, Mission Trail, The Tower of the Americas and the San Antonio Zoo. 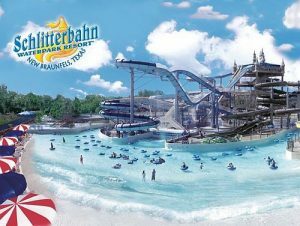 Popular amusement parks, Six Flags Fiesta Texas, Sea World, and Morgan’s Wonderland Special Needs Park are only 20 minutes to an hour away. We are the southern gateway to the Texas Hill Country Wine Country with 52 unique and visually stunning wineries scattered throughout the Hill Country from San Antonio to Austin. 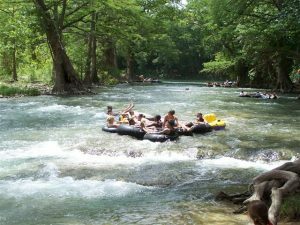 You will also find a variety of natural parks and landmarks like Enchanted Rock and Cascade Caverns as well as bodies of water such as Canyon Lake, Guadalupe River, Medina River and Comal River where you can go tubing, kayaking and more. And, if you like music and dancing there are many unqiue Texas Dancehalls in the area such as Anhalt, Tejas Rodeo, Gruene Hall, Twin Sisters Dancehall, Kendalia Halle and Leon Springs Dancehall all within less than a 30 minute drive.